Bet Butler is a betting broker that should help all the bettors out there who have their accounts limited or closed by bookmakers. Does this system really work? Bet Butler is a betting broker. They charge 3% of your winnings. Some betting markets mainly for football and horse racing. Where to create an account? Bet Butler is a betting broker that should help all the bettors out there who have their accounts limited or closed by bookmakers. They claim to give you the very best odds in the market. It depends on your activity – the more bets you place the more time it takes. How much money do I need for this service? Usually you can start with every amount but be sure to read our review to learn more about their service. 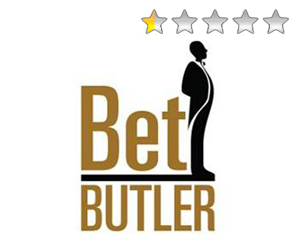 Review – What’s the idea behind Bet Butler? It’s two years ago when we heard about Bet Butler for the first time. Their site has been quite new so we took a closer look at it and we created an account. The idea behind Bet Butler is that all the bettors who get their betting accounts limited or closed by regular bookmakers should get the opportunity to continue placing their bets at high odds and big stakes. The owners of the website promise to deliver the best odds in the market and many different betting markets. This idea is revolutionary – well, it would be if this system would work. So creating an account at Bet Butler has been done quickly and easy. We made use of a welcome bonus of £25 and deposited our first money. So far so good.The first negativepoint started right at the beginning. We received our £25 more than a week after creating our account and after sending their staff an email. We thought that can happen and we continued trying this service..
How does betting with Bet Butler work? You browse through their website (which is terribly slow loading) and choose your desired sports. In our case it’s placing a bet of £100 on Exceedexpectations to win the 2.20 Lingfield horse race. We noticed that there aren’t that many betting types available - only the most common types. However, placing a bet works nearly the same as placing bets at usual bookmakers. Once you clicked your desired bet the betting slip will appear on the right hand side of the website where you have to confirm your bet. We confirmed our £100 win bet on Exceedexpectations at odds of 9/1 which is 10.00 in decimal odds. Congratulations – You placed your first bet, didn’t you? We thought that’s it. It would be all with every usual bookmaker but Bet Butler is different. We received an email with a confirmation that our bet of £49 on Exceedexpectations at odds of 9/1 has been successful. But why £49? We placed a bet of £100! We contacted the customer support and received the answer that they’re trying to place our full stake at different bookmakers but aren’t able to confirm our full stake everytime. Very nice…But we want to place £100 on Exceedexpectations because that’s our whole stake for this bet so we gave it another try. We placed a new bet of the remaining £51 on Exceedexpectations and after that we received our confirmation email for our remaining £51. But we had to take a closer look at this email. They confirmed our second bet at odds of 8.60 instead of 10.00. How could that be? The reason here is that the odds of Exceedexpectations to win have dropped to 8.60 between our first bet and our second bet. The whole value has gone. How frustrating! Is that just a mistake or does it happen more than once? We won’t give another example here but unfortunately we have to say that this happens very often. At least one selection every day ruined our odds. So we started to wonder if this system which Bet Butler promises really works. As these problems never stopped during our weeks of testing we decided to stop placing our bets through Bet Butler. We requested a withdrawal of our balance which should usually take no longer than two or three days. But here we had to wait 22 days for receiving our money. And we have been lucky (if you can call this lucky). We received many emails from people who never ever received their withdrawals. Bet Butler claims to take a commission of 3% on the winnings which would be totally ok but what we heard and saw here is really dubious. Unfortunately yes! Bettors who bet at usual bookmakers can make use of best odds guaranteed bets in horse races. That means if you place your bet at odds of 9/1 and the horse starts at odds of 15/1 your bet will be settled at odds of 15/1 even if you placed it at 9/1. That’s a big advantage for us bettors which we don’t want to miss. But Bet Butler doesn’t offer this best odds guarantee on any given race. That’s another big downside. 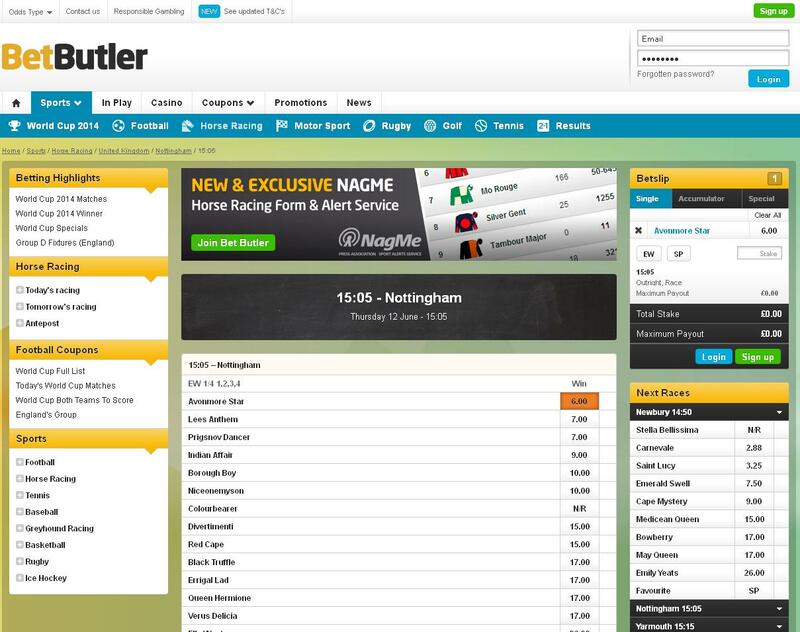 As we heard of Bet Butler for the first time we thought that many bookmakers could be in trouble. Managing all bookmaker accounts with just one account and always getting the best odds in the market sounds very promising and revolutionary. But that’s just the theory. What the owners of Bet Butler made out of this idea is a shame. Their website is slow, placing bets at valuable odds is really hard and frustrating, withdrawing money takes a few weeks (some bettors never received their money) and all in all the variety of betting markets needs much improvement. 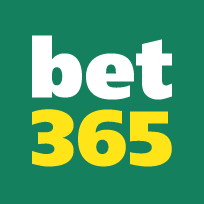 Unfortunately we only recommend to avoid this service and place bets with regular bookies like Bet365 and William Hill or you place your bets at the betting exchange Betfair. Bet Butler – we are disappointed! You can open an account at Bet Butler here if you want to, but we recommend to avoid this service! Now it’s your turn. Share your experience about this service with us and leave a comment below.